Thank you to everyone who participated in our Giveaway. 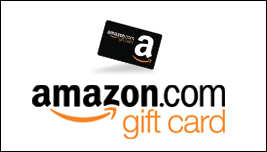 Winners will be contacted directly by the authors via email. Check your email inbox this weekend. We have also posted the winners on our Facebook page. Congratulations! 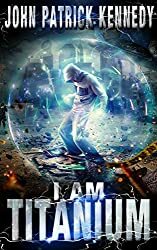 $25 Amazon Gift card – Angela F, Hadassah H., Natalie B, Melanie W.
Paperback “I am Titanium” by John Patrick Kennedy – Jasmine S.
Kindle ebooks “I am Titanium” – Angela F, Hadassah H., Natalie B., Melanie W., Hieken A., Demian R., Enrique H., Sandra W., Tracy F., Amanda W.
Paperback “Lethal Dispatch” by Max Tomlinson – Natalie B.
Paperbacks “Doubt book 1” and “Resist book 2” of Among Us Trilogy by Anne-Rae Vasquez – Tracy F.
“The Last Prospector” by Cairn Rodrigues – Sandra W.
“The Chronicles of My Paranormal Romance” by Adam Tarsitano – Brigitte B. “Broken Birdie Chirpin” by Adam Tarsitano – Amanda W.
“Smokescreen” by Khaled Talib – Charlene B. “Shadows of the Unseen” by Christine Steendam – Christine F.
To celebrate the release of “I am Titanium” by John Patrick Kennedy, we are giving away four $25 Amazon gift cards, paperback of “I am Titanium”, paperback of “Lethal Weapon” by Max Tomlinson and Anne-Rae Vasquez’s “Doubt and Resist” with Kindle book prizes from authors Khaled Talib, Cairn Rodrigues, Christine Steendam and Adam Tarsitano. He’s also dying. So when Pax’s astral mentor offers him a chance at life and power greater than any human has ever possessed, in exchange for helping the astrals inspect Earth, Pax jumps at the chance. When the soldiers shot her father, she took an oath—and the name the rebels gave her. ‘Inez’ avenged her father. Then she was ready to move on. She had no more need for Inez. But it wasn’t that simple. They said she couldn’t just walk away. She had one last mission: deliver a package to the City of Fury—Buenos Aires. Questions surround the Prospector with every step he takes. Why did the shadowy Boss sire the first Prospector a thousand years ago? What nameless treasure has the unbroken line of brothers been searching for? And how many years must he spend looking? He knows that he is the last Prospector, the last man to be handed the title and mission of the Brotherhood. He is destined to find that treasure, but what happens when he does? No one deserves to be invisible. No one deserves to be unseen. Saber August is the prince of the world. Heir to his grandfather’s empire and next in line as prime minister, nothing is out of his reach. But when a past nightmare comes to haunt him, his life takes an unexpected turn. Aaron August has always lived in the shadow of his older brother. Ignored and never quite good enough, all he wants is the approval and respect of his grandfather. All he wants is to take Saber’s place. But when a war erupts between the humans and the clones, each man has to choose a side. Fight for the clones, a race considered less than human, or stand by their family and everything they’ve ever known. The Chronicles of My Paranormal Romance: Slide into the “true” story of an author’s epic journey through the titillating world of paranormal romance. Embrace the Dark Lust. I`m soooo happy! Thank you and have a great summer!